Big flounders can weigh 1.56 Kg (3½ lbs) or more. The average flounder weighs around 0.45 Kg (1 lb). The flounder is a right eyed flat fish, meaning that when viewed from straight on, its eyes are on the right hand side of its body. Its body is diamond shaped with a dark green-brown back and a pearly white underside, sometimes the belly is the same colour as the back. The flounder has small tubercles at the point where the lateral line meets the gill-cover. The best baits for fishing flounders include ragworm, lugworm, shellfish and fish strips, with the best being herring, mackerel and pilchard. Shrimps, sandeels, hermit crab tails, peeler crabs and soft-backed crabs can also be used to catch flounders. There are also artificial baits available to catch flounders, flounder spoons being the best. Flounder spoons work even better when baited with a tiny amount of the above listed baits. 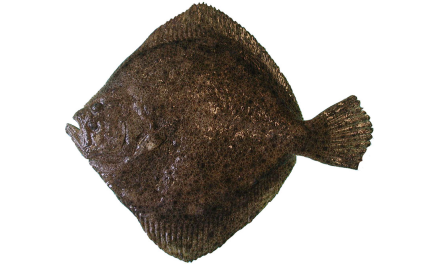 The flounder can be found in British waters throughout the year, but mature flounders migrate to deeper offshore waters to spawn in midwinter. Therefore they can be absent from inshore waters during Janurary, February, March and sometimes April. The flounder’s migration pattern is based on water temperature rather than the calendar, leading to this variation in the months that they are absent from inshore waters. The flounder favours on or very close to the bottom of sand or mud covered estuaries and harbours. Due to its affinity for brackish water, it is not uncommon for the flounder to be found several kilometres up tidal rivers, often well into fresh water. Flounders can also be found feeding below piers and jetties. 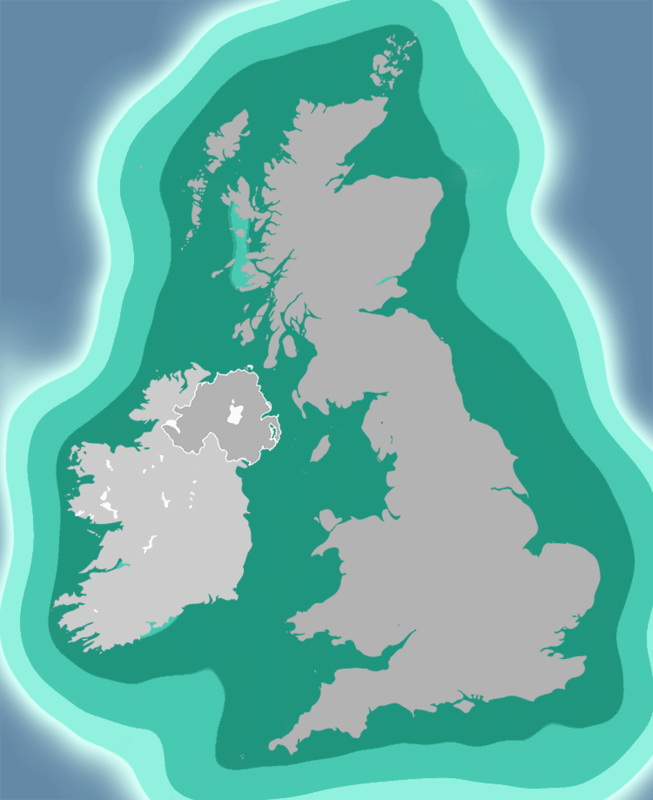 The flounder can be found off all of Britain’s coasts. We recommend catching flounders using either a basic leger rig or a two hook paternoster rig. This is a flexible rig which allows you to present two baited hooks above the seabed, with two different hookbaits being able to be used should you desire. Beach casting anglers reduce seabed wear and tear on the knot by clipping a small split ring onto the weight’s “eye” and tying line to the split ring. Alternatively, the line can be tied straight to the weight. 3 way swivels can be used instead of the blood loops. The distances between the weight, 1st blood loop, 2nd blood loop and top swivel/or split ring, can vary but each should generally be 460 mm (1½ ft). Similarly, the distance between hook and blood loop can vary but should be about 200 mm (8 inches). A boat leger rig or a two hook running leger rig are recommended if boat fishing for flounders. The 2 hook running leger rig is versatile and allows you to present 2 hookbaits on or very near the seabed. Two different baits may be also be used. The distance between the hooks and the 3 way swivel can vary, but should be at least 200 mm (8 inches). To present the bait just above the seabed, attach the weight to a swivel on the main line by a line about 1 m (3 ft) long. Alternatively, to lay the bait on the seabed, fit the weight directly to the main line. The distance between the 3 way swivel and the bead can vary, but should generally be at least 304 mm (1 ft). Flounders trail the flood tide onto beaches and into estuaries to search the disturbed sand and mud for lugworms, ragworms and any food which may have been made available. Fish for flounders on a racing and rising tide for the best results. You don’t need to cast into deep water when fishing for flounders as they often feed in extremely shallow water, sometimes deep enough only to cover their backs. Pack all of a bait tightly onto the hook, flounders are known to filch loosely fixed baits and flapping bits of bait clean away from the hook in a trice. Reel in line frequently and re-cast to arouse interest of flounders, don’t forget to check that your bait is still intact! Flounders move in small shoals and follow the current. One shoal trails another at intervals of up to about 140 m (150 yds). To track a shoal that you’ve located just follow the current, however you need to factor in the slow pace of flounder shoals. Even if you lose a shoal, don’t panic as there will be another one not far behind!